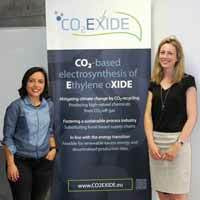 CO2EXIDE is a project of the Fraunhofer Institute for Interfacial Engineering and Biotechnology IGB aiming to establish an electrochemical, energy efficient and near-to CO2-neutral process for the production of the bulk chemical ethylene oxide from CO2, water and renewable energy. The party responsible for the data processing (controller) is EPC gGmbH. We process the personal data collected via our website and store them for the period, which is required to achieve the specified purpose and to comply with the statutory requirements. The following text informs you of the data we collect and the way we process the collected data. We also inform you on your data privacy rights as they pertain to the use of our website. This data protection information shall apply to the project website located at www.CO2EXIDE.eu and all services we offer in context with this project as web services or mobile app providing we refer to this data protection information. You can reach the controller at the above address, at mail@co2exide.eu or info@e-p-c.de. Please feel free to contact the controller directly at any time with your questions concerning your data protection rights and / or your rights as affected person. Only if you have explicitly agreed to it pursuant to 6 para. 1, page 1 lit. a GDPR, we will use your email address to send our newsletters to you. 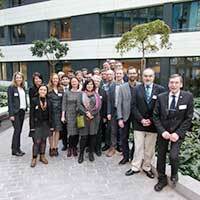 The newsletters contain information on the project CO2EXIDE, related research and events. You may opt out of receiving our newsletter at any time. At the end of each newsletter, you will find an unsubscribe link, which makes opting out easy. Alternatively, feel free to send your unsubscribe request by email: mail@co2exide.eu. We ask for these data to learn who sent us the enquiry and have the means to answer you properly. If you like to claim your right to object, an email to mail@co2exide.eu will suffice.